ISLAMABAD: The Supreme Court (SC) on Monday sought replies of 19 institutions which were claiming that their finances/accounts were not subject to audit by the Auditor General of Pakistan. A two-member bench of the apex court headed by Justice Ijaz Ahmed Chaudhry and comprising Justice Gulzar Ahmed heard the Civil Miscellaneous Application (CMA) filed by journalists, Hamid Mir and Absar Alam, seeking proof of allegations against Jang Group, levelled by senior officials of Pakistan Electronic Media Regulatory Authority (Pemra). The court directed these institutions to submit their replies within 10 days. Justice Gulzar Ahmed observed that up till now all the institutions should have filed their replies before the court. Deputy Attorney General Dil Muhammad Alizai informed the court that all the institutions wanted to engage separate counsels to plead their cases before the apex court and the court was informed that only two institutions had submitted their replies till now. 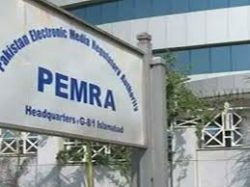 During the hearing, Hamid Mir, the senior anchorperson of Geo TV told the court that Pemra had levelled serious allegations against Jang Group, therefore, the evidence of these allegations should be shared with the Supreme Court. 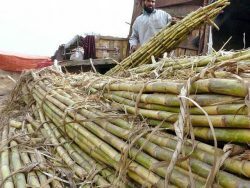 Absar Alam said that the regulatory authority had made highly objectionable and unsubstantiated assertions. It is pertinent to mention that the apex court had appointed a media commission on January 15 in response to the petitions filed by the anchorpersons requesting the court to disclose the names of beneficiaries of secret funds being maintained by the Ministry of Information. The report, along with recommendations, was submitted to the court on July 3. 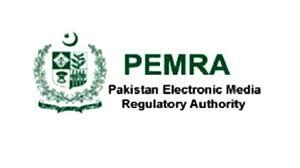 The Media Commission has included some unsubstantiated but serious allegations, made by Chaudhry Rashid Ahmed, Chairman Pakistan Electronic Media Regulatory Authority (Pemra), Dr Abdul Jabbar, Executive Director, Ashfaq Jumani and DG Licencing Nasir Ahmed, GM Legal and Suhail Ahmed Secretary Pemra. It was revealed that a lot of funds were pouring into media outlets from abroad in the form of sponsorship and that the programme Zara Sochieay had received sponsorship to the extent of 20 million pounds. It was further alleged that the “Aman Ki Asha” programme was being funded by a Norwegian NGO “Friends without Borders” and it had been further alleged that the footprints of this funding led to Indian sponsors including the Indian State Television namely Doordarshan. Hamid Mir and Absar Alam in their CMA had contended that propriety demanded that evidence, if any, be presented before the commission and the apex court and the aforesaid allegations might be made public as that was the primary purpose of the commission. They had prayed to the apex court that the seriousness of the allegations demanded that the said proof, if any, be made public as the report of the Commission itself was a public document. 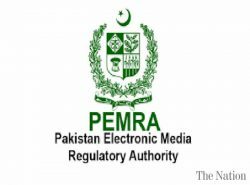 The Pemra, however, denied the allegations against Jang Group.Pemra’s counsel Zulfiqar Maluka told the court that they had contacted the high ups of the Jang Group to satisfy them.He also submitted statements of the officials of Pemra, denying the allegations. They said these allegations must be expunged from the report. Justice Gulzar Ahmed, however, observed that they were least concerned whether the programmes were foreign funded or NGO sponsored but would examine whether the law was violated or not. During the hearing, A D Kharral, another petitioner, informed the court that in May this year National Accountability Bureau (NAB) had issued notice to Pemra Chairman Chaudhry Rashid Ahmed in a corruption case, while in 2010 Federal Investigation Agency (FIA) had registered an FIR against him in the same case.Meanwhile, the court asked the petitioners to file their replies within ten days if they wanted and adjourned the hearing.